This month we say THANK YOU! We would love you to join in our fun at FSC with a piece that says thank you, or gratitude. It can be about reflecting on the past year and what we are grateful for moving forward, it can be about appreciating what we have to be grateful for, or a simple thank you! I chose a simple Thank You. and thank you to my friends who give me a ‘kick-up-the-…’ occasionally when I need it and help me to move forward when I sometimes feel stuck. Gee, where would we be without friends! I am still trying to find my way with what I learned at a Finnabair class. This piece started out as a tag…then turned into a canvas…and ended up as a large card. I rescued the flowers part, added some ribbon and material, a few splats and some stamping. I shabbied it up a little with distressing and gesso and I am really pleased with how it turned out. The image is a new one that I have from Deep Red. 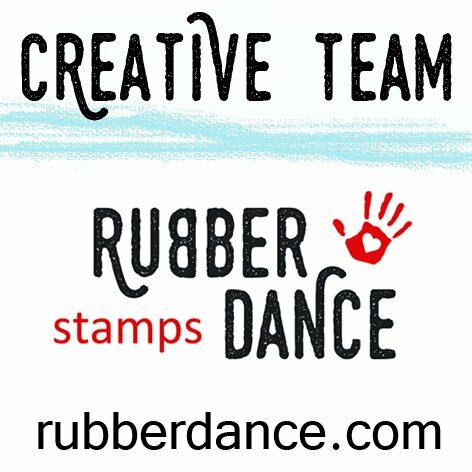 No matter how many times I had mucked this up I was determined to use that stamp! She is just gorgeous!!! Wow Dot such a fabulous card, love the colours and also the shabby chic style, totally awesome. You are a fabulous asset to the team Dot and it is us who should be saying a massive THANK YOU to you. All your makes over the years have been outstanding and we love you so much sweets. You are one very unique artist. I do hope that 2016 brings you everything you want. Wowwww Dot, your card ist beautiful. What a fantastic design…super! Beautiful card Dot, love your style and colour and that image is just perfect. What a beauty!! Love that sweet stamp of that little girl and you used it to perfection here! 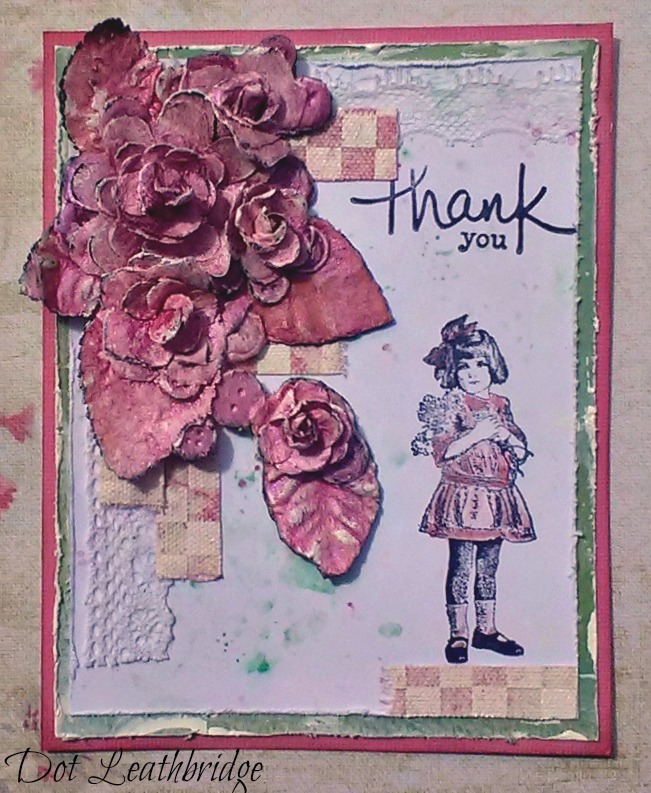 Such a sweet little girl – and I love the mixed media strips and flower cluster.